MS Dhoni, the limited over skipper of India will lead India against Australia in a five ODI & 3 Twenty20I series which could be his last tour to down under.Can he finish this tour with a high ? As far as his individual performance concern he is not that Dhoni he is known for. His hitting abilities in death overs is not same as before. His strike in death overs come down from 125 to 104 last year.Dhoni-led India toured Australia in 2014-15 ahead of the World Cup and competed in a tri-series. In that series, which also had England, and the World Cup that followed India did not win a single match against Australia. After losing ODI & T20I series from South Africa in home conditions.It was those performances that led to calls of sacking Dhoni as captain and giving the younger Virat Kohli a chance to prove his mettle. The fighter that he is, Dhoni somehow managed to stay afloat though his reputation as a top-notch finisher was continuously being questioned. The Indian skipper is under pressure to change his fortunes at a place which has always tested his abilities . The big question is where should Dhoni bat ? No.4 or No.5 ? If he bats at No.4 then Rahane should open the innings with Rohit which may cost Dhawan out of team. There are many questions to be answered by the 2011 World Cup-winning captain. Can he do it again like what he did in 2008 ? we have to wait and for it. 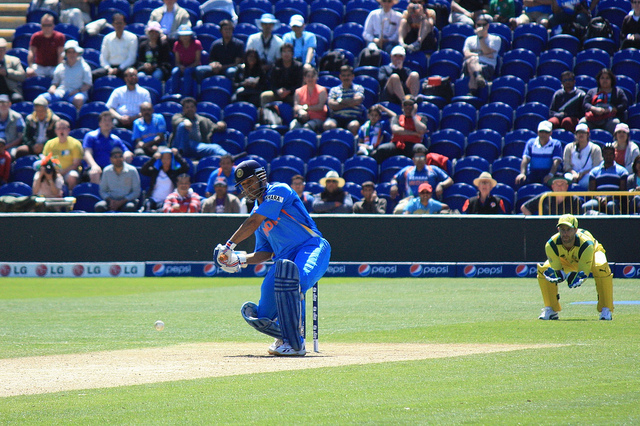 2.MS Dhoni is just 168 runs away to become the fastest wicket keeper batsman to score 9000 ODI runs. 3.Just 9 sixes away to become the first Indian player to hit 300 sixes across all formats of cricket. 4.Just 418 runs away to become the first Indian wicket keeper batsman to score 15,000 runs across all forms of cricket. India tour of Australia Schedule.